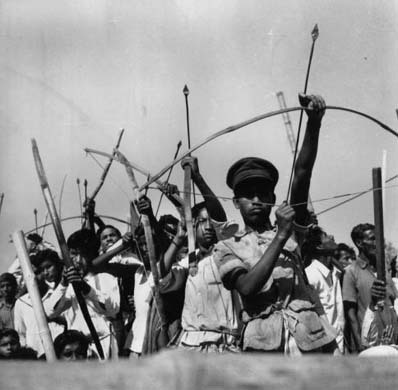 The Bangladeshi War of Liberation, like all other wars, has a contested history. The number killed, the number raped, the number displaced, are all figures that change depending upon who tells the story. But in our attempt to be on the ?right side? of history, we often forget those who ended up on the wrong side. Those who have gone, those who were permanently scarred, mentally, physically, socially, don?t really care about our statistics. The eyes that stare into empty space, knowing not what they are searching, the frail legs, numbed by fatigue, drained by exhaustion, yet willed on by desperation, the wrinkled hands, seeking a familiar touch, a momentary shelter, longing for rest, do not care about the realpolitik of posturing superpowers. Is a 40th anniversary more than a convenient round number in a never-ending cycle of the displacement of the weak? Is a 60th anniversary more than a celebration of a milestone amongst many, where brave men and women have stood by those in need, but watched in silence as the perpetrators of injustice continued in their violent ways, leaving them to deal with the fallout? I have been asked many times what I think about the fact that nowadays almost everyone takes pictures. The question of course, has a sort of hidden agenda. It suggest that photography has become so common place so as to render photography into a commodity, taking away from it, it’s aura of sophistication, uniqueness and or the merit of being seen as some form of art, after all most people make pictures that are quite bad. Add to that, the fact that all the new technologies we have available today, have created cameras that are so intelligent that they make most of the decisions for the photographer with regard to the exposure and sometimes even the framing, allowing our new found photographer to obtain results that reward the efforts of pressing the shutter button. It’s almost the equivalent of someone speaking to a microphone and the computer translating the sound of the voice, into a written text. We would not say that this person had in fact learned how to write. Well much the same happens when a camera takes a picture that is acceptable even though the person behind the lens has no knowledge of photography what so ever. Having said this, we have to wonder how accurate such thoughts really are. After all how can one say that someone does not know at all what they are doing. Maybe what is happening today has to be viewed in a completely different light ( no pun intended). Consider how any teenager sending pictures to all his or her friends, with regard to their latest adventures, would certainly fall into the realm of autobiographical expression, even though such a category might be far removed from any conscious decision making process. In fact I would think that this tidal wave of images, has left the intellectual community confronted with new challenges to understand and see photography in a “new light”. Certainly the concept of “bad photography” is taking hold as a new concept that has to be dealt with. Has “bad photography” liberated “good photography” from becoming something else? As I see it, with so many millions of people, the world over, having now explored making images, their curiosity for doing something different and new to their previous results will probably lead many to a new era of acquiring more and more visual literacy and technological know how, and leave the curatorial world scratching their heads as to what to make of it all. How could anyone dealing with photography in the XXI century, dismiss as trivial the shear volume of photographs that have been created. The collective document that has been produced world wide, documenting so much of our daily life in this period, will surely become a fundamental piece of information for generations to come. 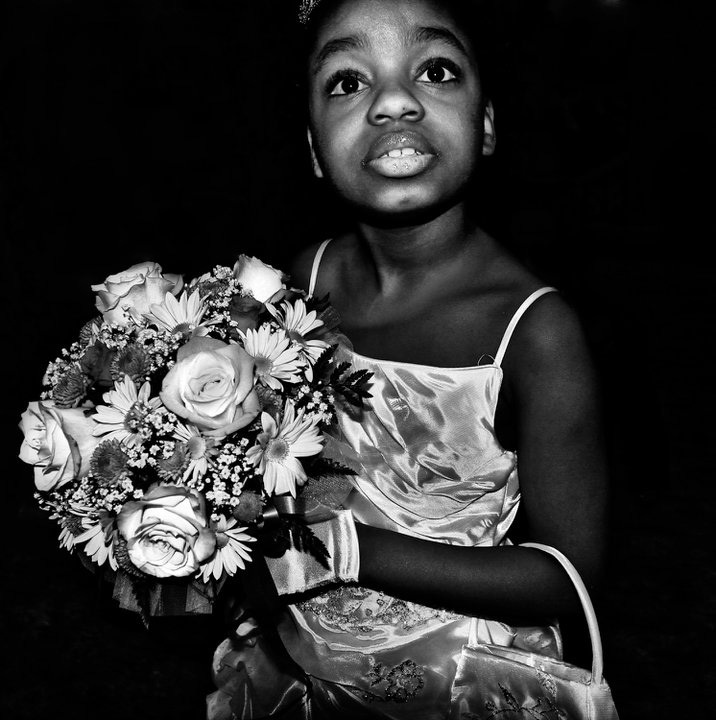 If this was it’s sole merit, that alone would already give importance to all that has been photographed. The entry cost to participate in the creative world has come down so much that we can truly say that if you want to make a film, record a disc, make photographs, publish a book, and so on, it’s not something that is beyond your means, as it was not too long ago. It has finally come down to the most meaningful part of the act of creating, and that is that you have something meaningful to share. And if you don’t know what to say then don’t worry, then at least have a lot of fun doing what ever strikes your fancy, that also counts as contributing in some degree to the well being of all those around you, after all happiness is contagious, and who knows, maybe without you knowing it, are changing the face of photography for ever. 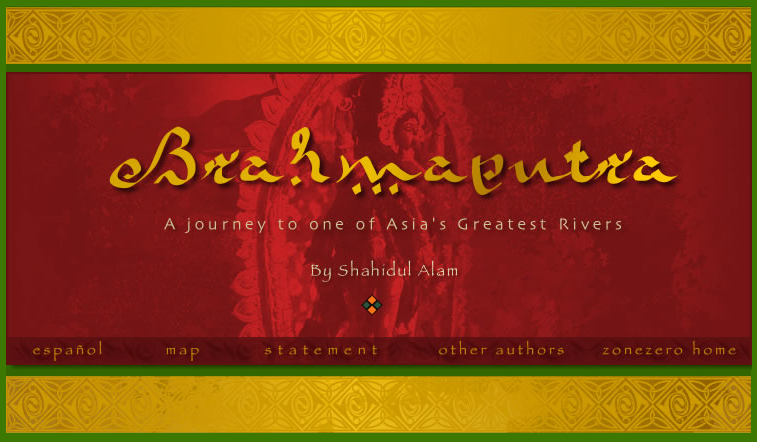 Author Shahidul AlamPosted on November 20, 2010 Categories culture, PhotographyTags Images, language, Photography, text, visual literacy, wordsLeave a comment on Are too many people taking photographs? The Bangladesh war was one of the 20th century’s bloodiest, yet outside the region, little is known about it. Now, 37 years on, an exhibition records the painful birth of a nation. 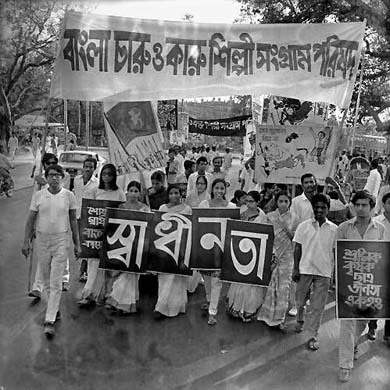 In December 1971, in the midst of their celebrations at the end of the war for independence from Pakistan, the people of Bangladesh began to reckon with the human cost of their new nation. As they took account of what they had won and what they had lost, Sheikh Mujibur Rahman, the independence movement leader who became the first prime minister of Bangladesh, urged his people to embrace the many thousands of women who had been raped by Pakistani soldiers. He gave the women a title – birangona, brave women – seeking both to exalt them as war heroes and erase the shame of their violation. 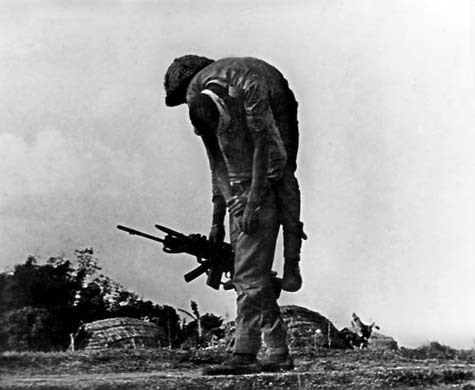 The contradiction between exalting and forgetting persists in Bangladesh, where the war remains a contested space, still charged 37 years later with an emotional and psychological intensity that brings to life William Faulkner’s words “The past is never dead, it is not even past”. 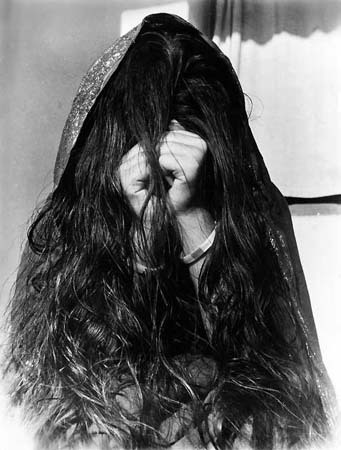 Yet these complexities are captured in a photograph taken by Naib Uddin Ahmed of a woman – one of the birangona – obscuring her face by clutching a thick mass of her own hair. 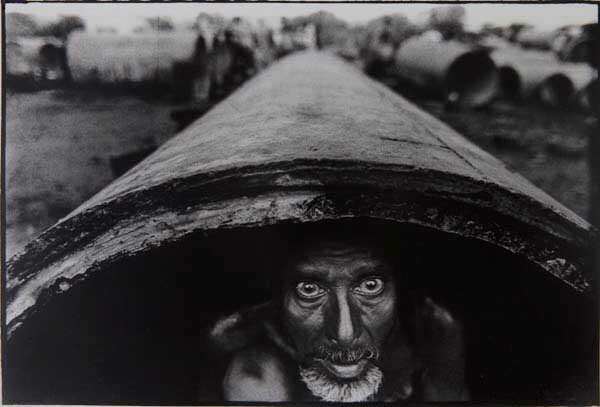 This is just one of many haunting images that make up Bangladesh 1971, a new photographic exhibition at the Rivington Place public gallery in Shoreditch, east London, and which contribute to its powerful visual retelling of the story of this war. It was one of the bloodiest conflicts of the 20th century, and yet it is a largely unacknowledged event: outside Bangladesh there is little awareness of the campaign of violence on the part of the Pakistani army as the Bengali people of the then East Pakistan sought to achieve political sovereignty. 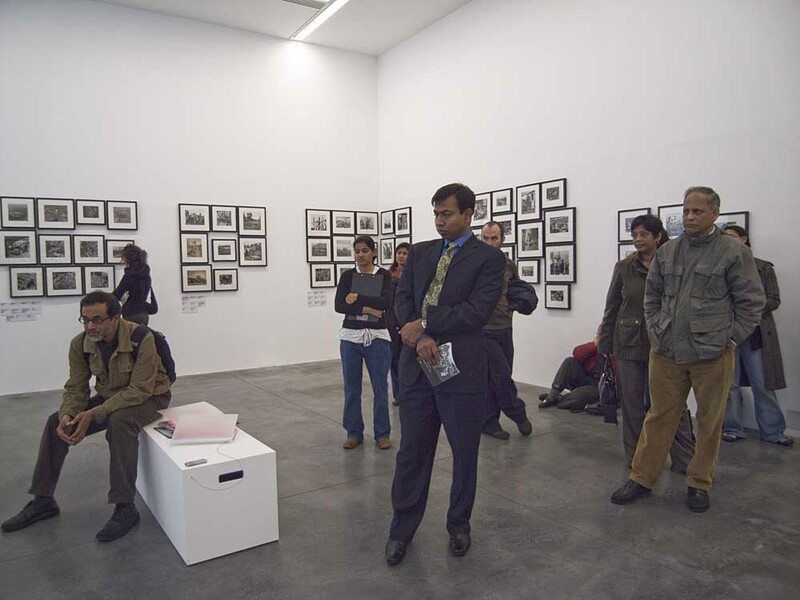 In this exhibition, all but one of the photographers are Bangladeshi; most were amateur photographers at the time, men who happened to be holding a camera when they found themselves caught up in the war. For almost two decades, Shahidul Alam – director of the Drik picture library in Dhaka and a curator of the current exhibition along with Mark Sealy, director of photographic agency Autograph ABP – has made it his mission to collect these photos, visiting the photographers in their homes and saving their negatives. By highlighting the images taken by these accidental archivists, the curators have created an intimate, reflexive portrait of the war, ranging from photographs that are well known to others that have never been seen in public. 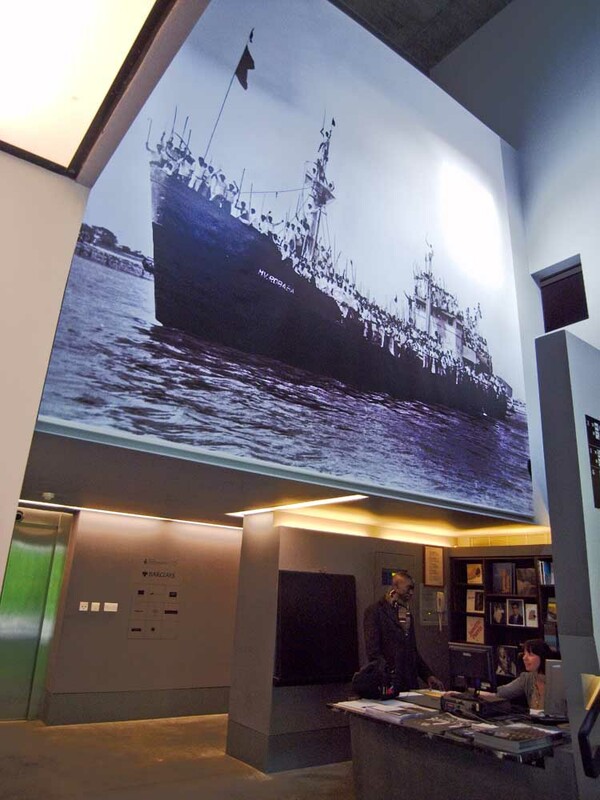 The exhibition consists of more than 100 images organised in loose chronology, beginning with the first stirrings of nationalism and resistance to Pakistani occupation. 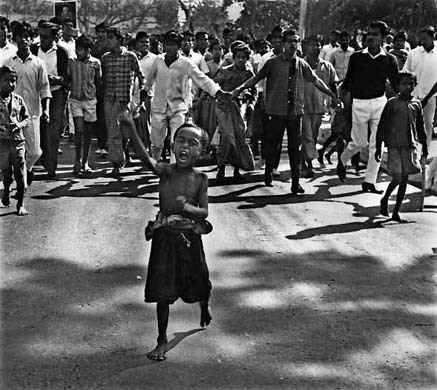 The ebullient spirit of 1969-70, when war was imminent, is captured most powerfully by Rashid Talukdar’s image of a young boy, no older than 10, leading a street march. The boy is obviously poor (he marches in bare feet) but his mouth is formed in an ecstatic shout as he leads the procession of men behind him, as though for those few minutes, it is his war, his people, his country. The collection includes many iconic, even universal, images of war: Abdul Hamid Raihan’s image of two children staring into the distance, a carpet of missiles scattered at their feet; Mohammed Shafi’s portrait of a freedom fighter – a boy who could be from anywhere – reveals a young man’s tenderness and fear apparent despite his attempt at studied resolve. Other images reveal the horror of this war with haunting specificity. On the night of December 14, knowing they were about to lose the war, the Pakistani army and its local paramilitary allies massacred the future doctors, teachers, lawyers, and writers of Bangladesh in an effort to cripple the new nation. The bodies were not found until after independence, when a mass grave was discovered in the city. 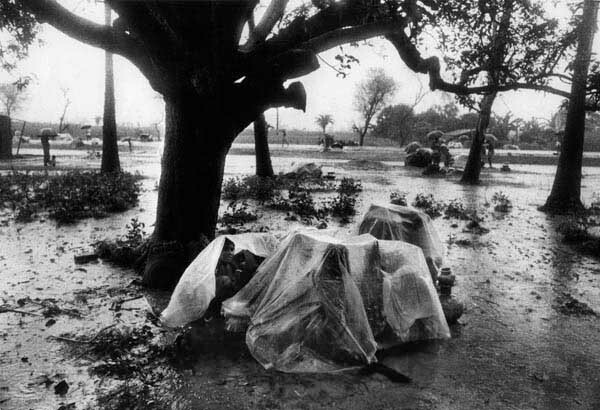 One photograph of the massacre stands out: a face surrounded by submerged bricks and covered in a thin sheen of mud. The face is ghostlike, other-worldly, and the aesthetic intensity of the image serves to underscore the almost unfathomable brutality of the act. 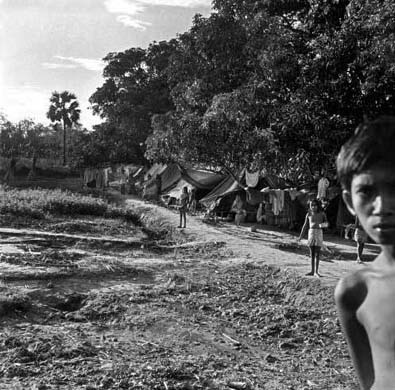 Bangladesh 1971 also presents a complex portrait of the slaughter. One photograph shows a uniformed man circled by a large crowd, stabbing a civilian with a bayonet; the caption tells us that it is not a Pakistani soldier but a Bengali one, attacking a local man who has collaborated with the army. 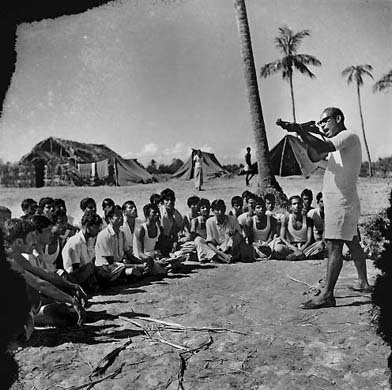 At Alam’s first exhibition of war photos in Bangladesh, the government requested that he remove this image, in which the roles of victim and perpetrator are reversed. His refusal led to the exhibition being shown at a private gallery rather than at the National Museum. There are other complex figures, most notably Sheikh Mujib. Revered throughout the independence struggle as the father of the nation, then brutally assassinated in 1975, Mujib left a legacy that is continually being reassessed, not least because his daughter, Sheikh Hasina Wajed, is a prominent Bangladeshi politician. Naib Uddin Ahmed’s photograph of Mujib returning to Dhaka in January 1972 (he had been in prison in Pakistan throughout the war) emphasises the passion he inspired in his followers, as his procession is surrounded by thousands of cheering citizens of the newborn country. But the most touching portrait of Mujib is one where he is shown embracing his daughter, the young Hasina. He glows with pride, and she with love. It’s a reminder that behind every political execution – and south Asia has had its share – is the death of a loved one. It is in its attempt to challenge our expectations that the exhibition is most successful. In the flagship piece, displayed against the window of Rivington Place, a group of women march in perfect formation through the middle of a busy road, rifles cupped in the palms of their hands. 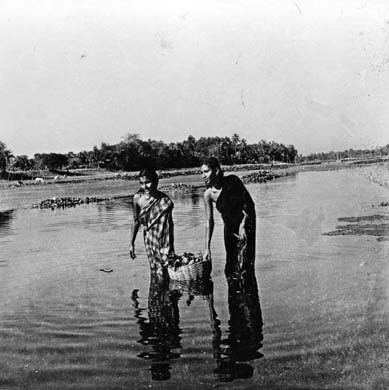 Another photograph is a seemingly idyllic image of two women wading through a pond with a basket of flowers. 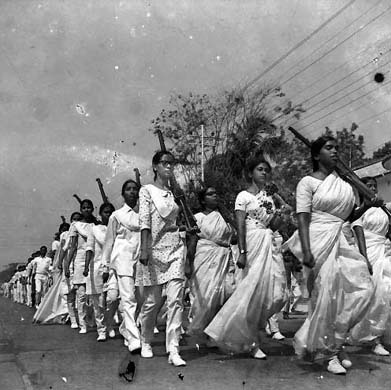 But the caption reads: “During the liberation war, female freedom fighters would smuggle grenades in baskets covered with water hyacinth.” Scenes like this were common during the independence movement: many young women were given informal military training; in the villages, especially among the Adivasi hill people, women smuggled arms to the front lines of the resistance. Bringing these images to light in this setting challenges our notions of women’s political participation in a country like Bangladesh. And as Londoners walk past Rivington Place, perhaps they will find a new window into the history of their neighbours on Brick Lane, a visual testament to the trauma and hope of independence. 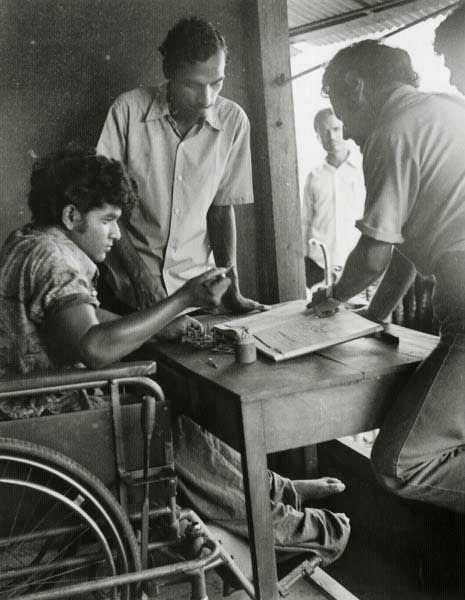 Bangladesh 1971 is at Rivington Place, London EC2A 3BA, until May 31. Info: +44 (0)20-7749 1240. This article appeared in on on p12 of the section. It was last updated at 02:07 on April 10 2008.